Owing to the efforts of our skilled professionals, we have been constantly engaged in offering a qualitative assortment of Cloth Stand. Exquisite range of 8-way browsers that we offer are available in various specifications and are widely demanded in various parts of the country and for various garment shelving. these are used for placing garment products and are available in various attractive features, long lasting polish and in different sizes. Usage: Retail store, shopping mall, department, supermarket, etc. We are offering Brass Coat Stand to our clients. 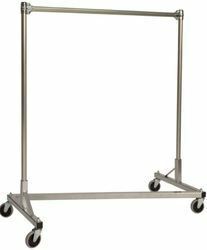 We offer 17 Inch Black Garment Stand Hanger. Blazer/coat stand used in offices and homes..
An excellent quality range of Wooden Coat Stand, our clients can avail from us. 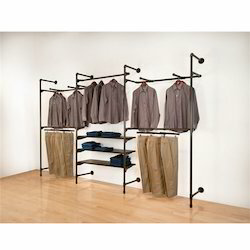 This range of Wooden Coat Stand is known for its best quality and durability. Clients can avail from us this range of Wooden Coat Stand at most affordable prices.